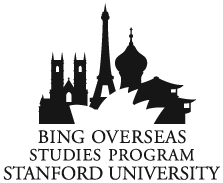 Students who apply through the Bing Overseas Studies Program (BOSP) will now be able to choose the FroSoCo option, writing a few short essays for their admission to the program. Admission is based on a few criteria, namely a thorough understanding of quantum entanglement, a fiery passion for a particular programming language, and a transcript showing over 20 units per academic quarter. “The decision to switch FroSoCo to an abroad program has been met with much enthusiasm,” said Peter Bing. “I have personally talked with many students who were involved in an ‘LDR’ or ‘long distance relationship’ with someone in FroSoCo” he admitted. The new program aims to address the relational and academic needs of the Stanford community, while offering a retreat from the typical Stanford experience. Expect things to kick off in fall quarter of 2015 … unless Stanford decides to open a program in New York City instead.